Varied range of electric staplers with the ease of automatic stapling. 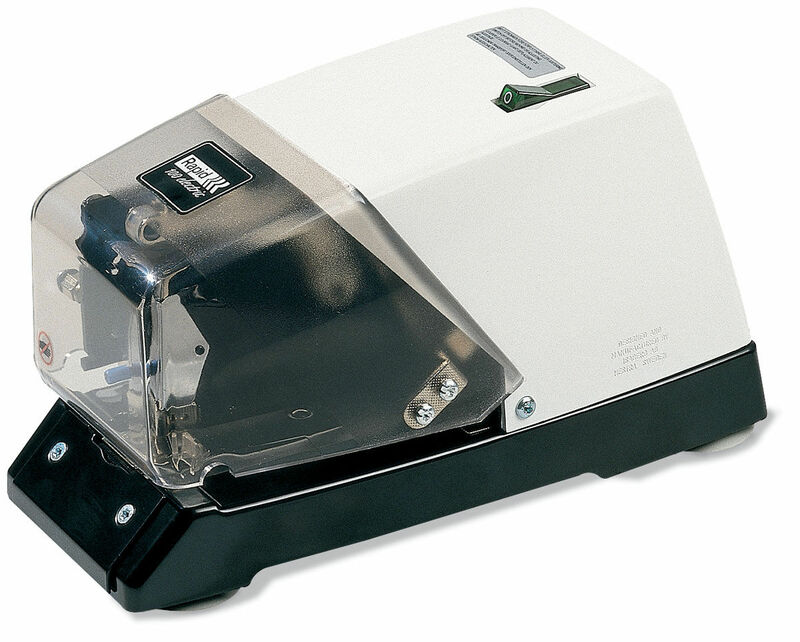 Durable and robust electric stapler suitable for large offices or heavy duty use. 50 sheet capacity. 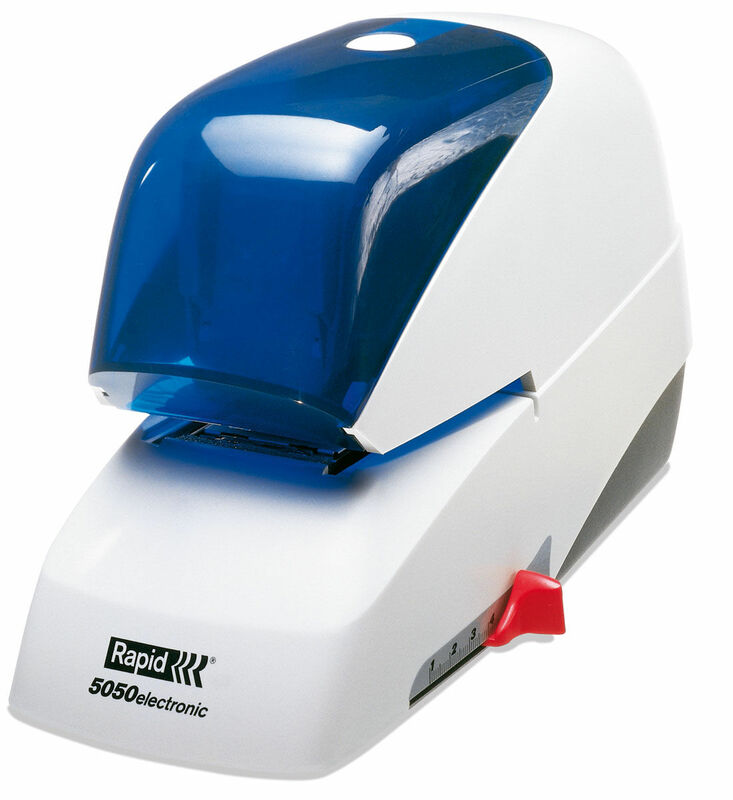 Thin, durable and robust electric stapler suitable for large offices or heavy duty use. 50 sheet capacity. 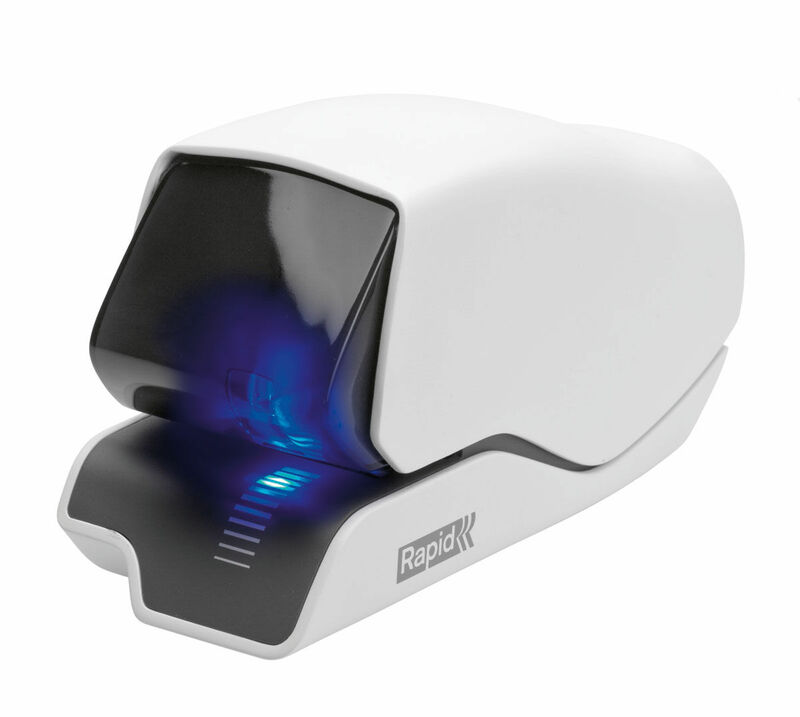 Thanks to easily interchangeable staple inserts, this model can handle both flat/saddle and loop stapling. 50 sheet capacity. Compact unit ideal for high frequency situations. 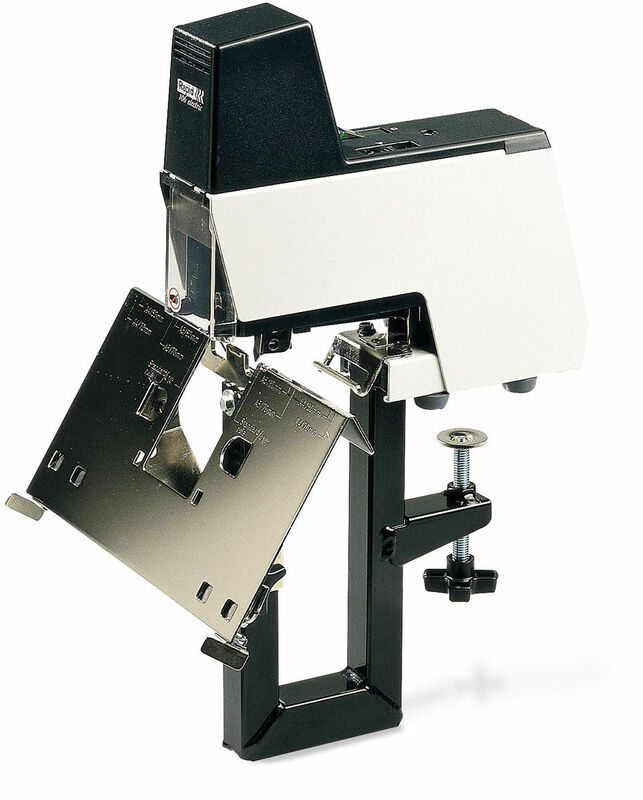 Patented Cassette Stapling Technology allows for 1,500 staples without reloading. 25 sheet capacity. 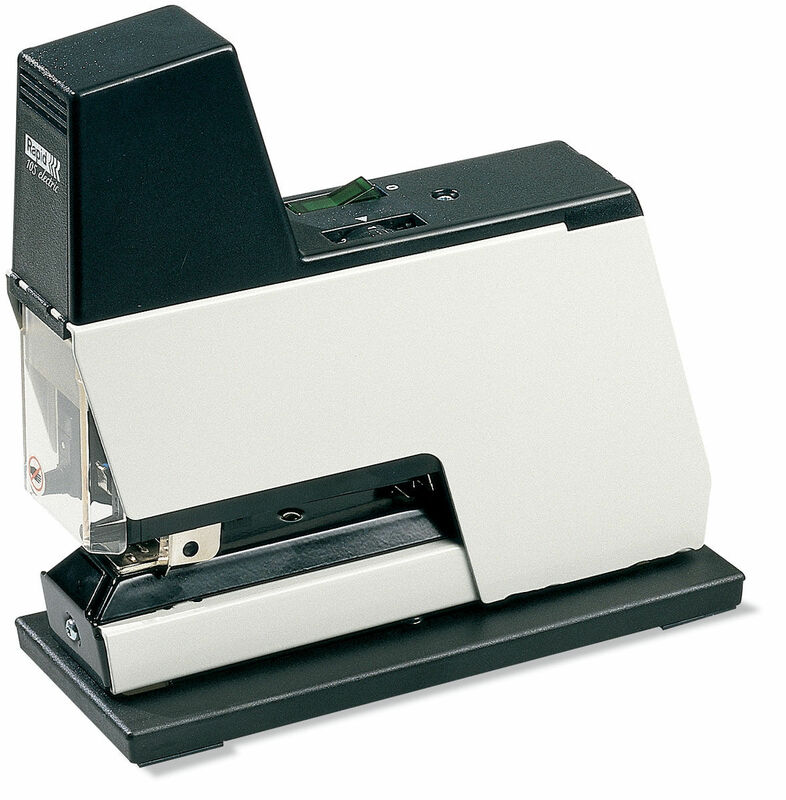 These quiet staplers are ideal for use in offices or copy rooms. Capable of 5,000 staples without reload. Constructed for over 500,000 stapling operations. Up to 80 sheet capacity.